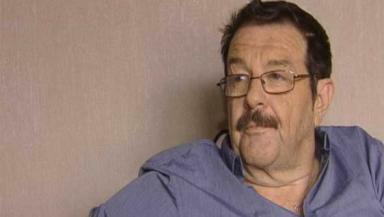 Paul Mickleburgh told to look for work, despite requiring dialysis to stay alive. A man who has suffered 14 heart attacks and four failed kidney transplants has been told he is fit enough to look for a job. Paul Mickleburgh, 53, from Aberdeen, who has also fought cancer and pneumonia, will spend the rest of his life on dialysis, which he receives three days a week. He was told by the Department of Work and Pensions that he is expected to take part in work groups and attend interviews in a bid to get a new job or he will face losing the new Employment and Support Allowance to be paid instead of incapacity benefit. Mr Mickleburgh said: “Why would you apply for a job that you are not going to be able to do? It seems to be petty that they are going to make you apply for jobs but don’t expect you to take the job, even if you are offered it. “It’s not right. You apply for a job to go and work, you don’t apply for a job to then turn it down. Mr Mickleburgh added: “A person’s medical condition should be taken into account. I wouldn’t be able to do an eight hour job five days a week. There’s no realistic prospect of an employer taking on somebody with my medical condition. “I don’t think they realistically want me to find a job, they just want to get me onto the work activity list for statistics. Most reasonable people will think I’m genuinely unwell.